Black Friday 2019 is a long ways off. But the week of Black Friday is when Rogue holds their biggest sale of the year. Check back here in November, and we’ll have more updates then. In the meantime check out the items Rogue has on sale every day. Want great Black Friday fitness and gym equipment deals? 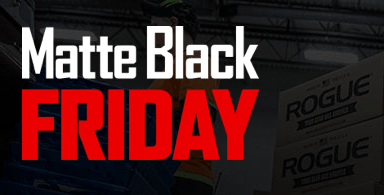 Matte Black Friday (MBF) is what Rogue Fitness calls their annual Black Friday and Cyber Monday sale. Rogue’s Black Friday 2018 happened the entire week of Black Friday 2018 – November 19th – 25th, and sale items were extended through Cyber Monday the 26th. The sale is now over, but you can find Rogue’s Hot Deals year round. There were many items on sale for 2018 and all the usual promotions made an appearance – Hundo Pricing, 5 Ships for $5, Matte Black Friday Exclusives, and lots of big discounts. Hopefully you got to partake in the sales and savings. 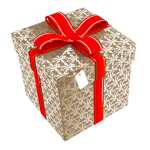 Last year the sale ran from Monday, November 20, 2017 through Sunday, November 26th, 2017, and Cyber Monday was on Monday, November 27th, 2017. Similar deals were offered through cyber monday, but the event was initially advertised as ending on Sunday evening. Hundo Pricing is always a part of the sale. What’s that? 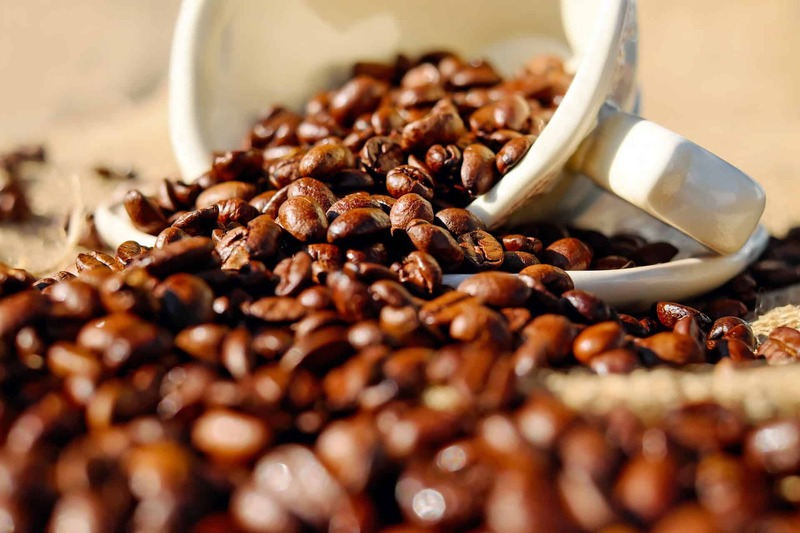 To put it simply – the more weight you purchase the cheaper the price per pound becomes. More weight means a bigger discount. 5 items ship for $5 – Order 5 participating items – pay only $5 shipping. Hot Deals – Great deals on limited supply items – once they’re gone, they’re gone. MBF Exclusives – New items or custom items we made specifically for Matte Black Friday (MBF). As an example, in 2017 there were special cerakote and bushing color combinations of the Ohio bar (red and black). As a Rogue Fitness affiliate, we look forward to highlighting the best equipment value for your dollar – and providing the information you need to make decisions about purchasing equipment. Please note that as an affiliate, if you click through our links, we will receive compensation for purchases. This compensation does not affect in any way the price you pay. Stay tuned for details on Rogue Fitness’ annual 2018 Matte Black Friday and Cyber Monday deals and specials. While we wait to find out what discounts and deals Matte Black Friday 2018 will be, check out Rogue’s Hot Deals. These are time limited specials and deals on a timer – when they’re done , they’re done. Need the ideal Olympic Barbell? Read our Olympic Barbell guide to find out which barbell is right for you. Does Rogue Fitness have a New Years Sale? Rogue Fitness does not normally have a specific New Years sale event. Does Rogue Fitness have a Boxing Day Sale? 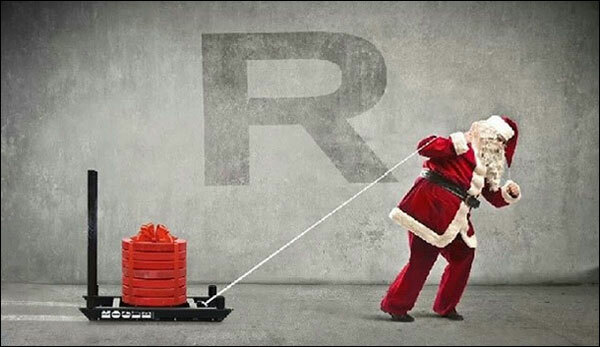 Sorry Canada, Rogue Fitness does not hold a special Boxing Day sale. 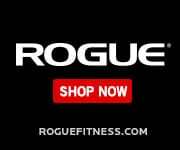 Does Rogue Fitness have a CrossFit Games Equipment Sale? Rogue is the official equipment supplier for the annual CrossFit Games. For the CrossFit Games 2018 Rogue was selling used games gear at their booth onsite. They are starting to list used equipment from the 2018 CrossFit Games in the “Deals” section of the website: Concept2 Rowers, Concept2 BikeErgs, Barbells, Competition Bumper Plates, Concept2 SkiErgs, and more. 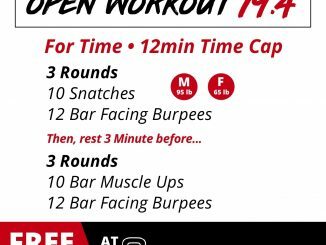 Used CrossFit Games gear is a great way to pick up high quality equipment at a bargain price. 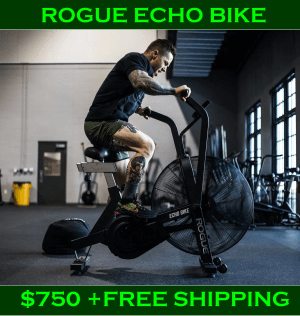 By the way, they also have a great price (and free shipping) on brand new Rogue Echo Bikes. Rogue’s biggest sale for 2017 is over. Matte Black Friday and Cyber Monday ran from Nov. 20-27, 2017. Hopefully you got to partake of some of the great deals they offered – Hot Deals, MBF Exclusives, Hundo Pricing, 5 Ship for $5, and much more. You can be sure we’ll share details about Matte Black Friday 2018 as soon as we can. Does Rogue Fitness Offer a Military Discount or Law Enforcement Discount? The short answer is: No – Rogue Fitness does not offer an ongoing military or law enforcement discount. Rogue Fitness prides themselves on providing high quality, high value products at competitive prices to all potential buyers. 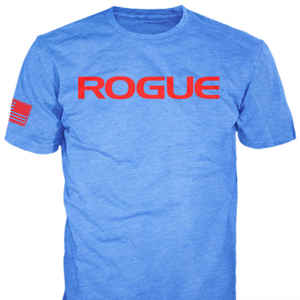 Rogue Fitness does support our military members by shipping to APO/FPO addresses (via their APO Store) and also by donating hundreds of thousands of dollars to veteran’s groups and other organizations. When Does Rogue Fitness Have Sales? Rogue Fitness has sales and special deals throughout the year. For example: Veterans Day (special discounts and deals for verified US service members and veterans). In addition, they have several ongoing specials, such as Hundo Pricing, Hot Deals (time limited special offers), 3 Ships Free, and more. But their biggest sale of the year is the combined Black Friday and Cyber Monday event known as Matte Black Friday. Details for this year’s Matte Black Friday 2018 have not yet been released. Stay tuned for details. Does Rogue Fitness have a Veterans Day Sale? Rogue’s Veterans Day Sale is normally only for verified military veterans. You can find out more on the exclusive deals at Rogue’s military page. Does Rogue Fitness have a Labor Day Sale? For 2018, Rogue Fitness did not have any special sale for the Labor Day holiday. 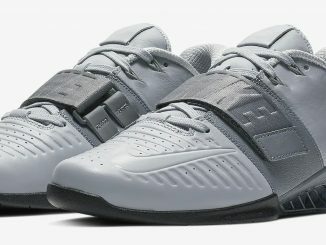 Does Rogue Fitness Have a Father’s Day Sale? 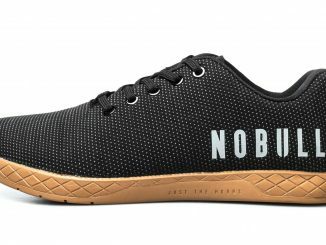 For 2018, Rogue Fitness provided a Father’s Day Gift Guide. Does Rogue Fitness have a 4th of July Sale? For 2018, Rogue had some Red White and Blue themed products, but there weren’t discounts and deals as compared to normal pricing. 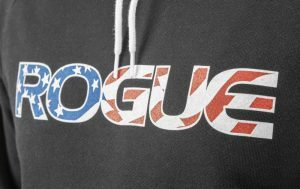 Does Rogue Fitness Have a Memorial Day Sale? In recent years Rogue Fitness has not had a Memorial Day sale. In the US, Memorial Day is for remembering those that have given their lives in the defense of freedom in the military. While some retailers may have these sales, for a veteran friendly and military friendly business such as Rogue Fitness it is not considered a special occasion to sell products. When Is The Rogue Garage Sale? When is the Rogue Garage Sale 2019? We don’t know when Rogue will hold the Garage Sale for 2019. But, if we had to guess – we’d say July 2019. It will be the 11th annual Rogue Garage Sale. Here’s another big event that people are always on the lookout for – the annual Rogue Garage Sale. This sale happens on a variable basis – for 2018 and 2017 it occurred mid-July, but for 2016 it happened in April. The 10th annual Rogue Garage Sale for 2018 happened as described below. When: Saturday, July 14, 2018 from 9:00-11:00 AM Where: 545 E. 5th Avenue, Columbus, OH What: Rogue equipment including Barbells, Plates, Rogue Echo Bikes, C2 Rowers, Assault bikes, Medicine Balls, Kettlebells, Boxes, Benches, Dumbbells, Racks & more! What is the Rogue Garage Sale? It’s a very limited time onsite event (they do not ship these items, nor are they listed online) where they clear out all sorts of stuff from the warehouse. In years past they’ve offered: Rogue equipment including barbells, plates, medicine balls, kettlebells, boxes, benches, dumbbells, racks & more. Rogue furniture including desks, office chairs, conference tables, bookshelves, picnic tables, shop tables, workstations, & more. They even sold refrigerators and microwaves! Where is the Rogue Garage Sale? For 2018 it occurs at the 545 E. 5th Avenue, Columbus, OH address. What forms of payment are accepted at the Rogue Garage Sale? In 2017, cash and credit cards were accepted. How long is the Rogue Garage Sale? It’s a 2 hour event, normally running 9am- 11am. Lastly, understand this is a limited time event. It ran from 9am – 11am in 2017, and because it’s a clearing of unwanted equipment – it’s first come, first serve, and very limited quantities. Live too far from Columbus to make it to the garage sale? You can always check out closeout items at Rogue. This includes items they are no longer going to carry, and you can also find used games gear. And best of all, unlike the garage sale, these items are available to ship. 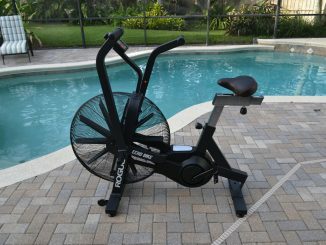 Here at Fit At Midlife, we would like to highlight an exceptional fitness equipment manufacturer: Rogue Fitness. What is Rogue Fitness? 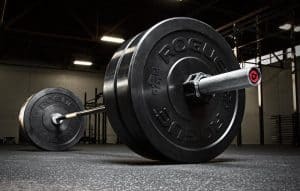 Rogue Fitness is an American manufacturer and distributor of strength and conditioning equipment, including weightlifting bars, plates, racks and every conceivable piece of fitness related equipment you might need. 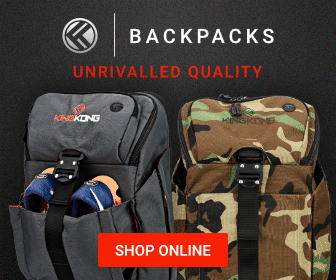 They are known for their American made, high quality products that will last a lifetime. 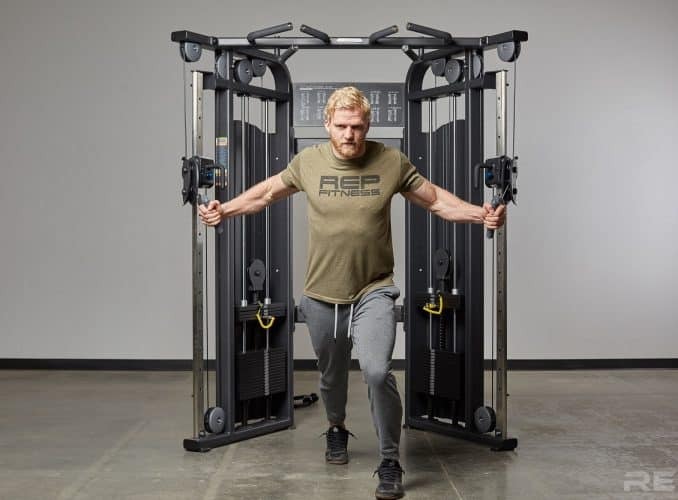 The equipment they manufacture is used extensively by professional gyms, CrossFit boxes, individuals with garage gyms, military bases and units, collegiate teams, and professional sports teams. 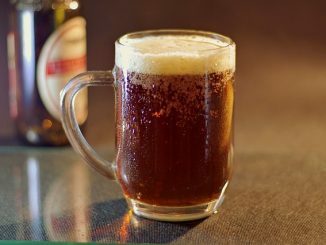 Founded in Toledo, Ohio, by founder Bill Henniger in 2007 they have grown immensely over the years. Initially they resold mostly other manufacturer’s equipment, but eventually focused on designing, building, and selling their own exclusive designs as well. This all started from Bill Henniger’s desire to outfit his own CrossFit affiliated gym, and he had trouble finding good equipment. Bill’s solution? Design and build it better himself. Today they do this out of their massive manufacturing center located in Columbus Ohio. 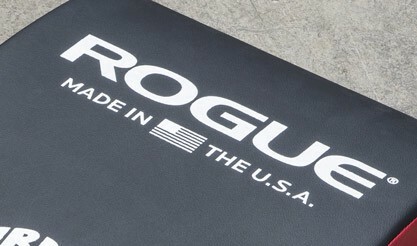 Rogue Fitness features many products, but their most innovative and high quality items are designed and made in America. Many of Rogue’s designs are unique and innovative. But most of all they are amazingly high quality – robust and usable. Rogue Fitness is not just an equipment provider, but it’s a mindset and an ethos. We are proud to be part of the extended Rogue Fitness family. 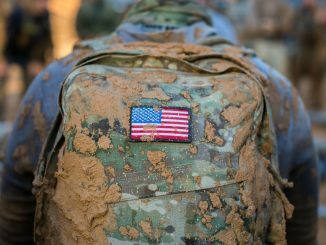 As an example, Rogue is currently offering exclusive deals for verified US Military veterans on Friday, November 10, 2017 and Saturday, November 11, 2017. The Rogue Fitness logo and product imagery on this page is property of Rogue Fitness and provided by Rogue Fitness.